In May 1787 Robert Burns set off on what he described as a 'slight pilgrimage to the classic scenes of this country'. His travels took him first to the Borders and later to central Scotland and the Highlands. Burns's perceived status as the national bard gave him a strong commercial motive to visit rural subscribers to the second (Edinburgh) edition of his poems. Some of the gentry and members of the learned professions who fêted him nurtured his interest in traditional ballads. From 1787 Burns became involved in a project of the Edinburgh music-seller James Johnson to collect and publish the words and music of all Scottish songs. 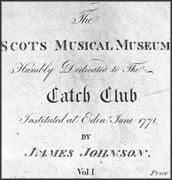 Johnson had published the first volume of 'The Scots musical museum' in 1787, and thereafter Burns made a major contribution to the rest of the collection. 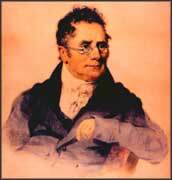 Largely due to him, the publication eventually ran to six volumes of 100 songs each. Burns also collaborated with the musical enthusiast George Thomson in publishing 'classical' arrangements of Scottish folk-songs. The first 'set' of 'A Select Collection of Original Scottish Airs' was issued in 1793. 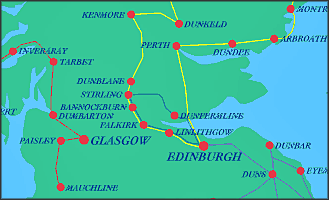 The routes of Burns's Scottish travels. Burns could play the fiddle, but he was no expert. He could also write tunes in musical notation, and he sometimes sang his own songs at celebrations.